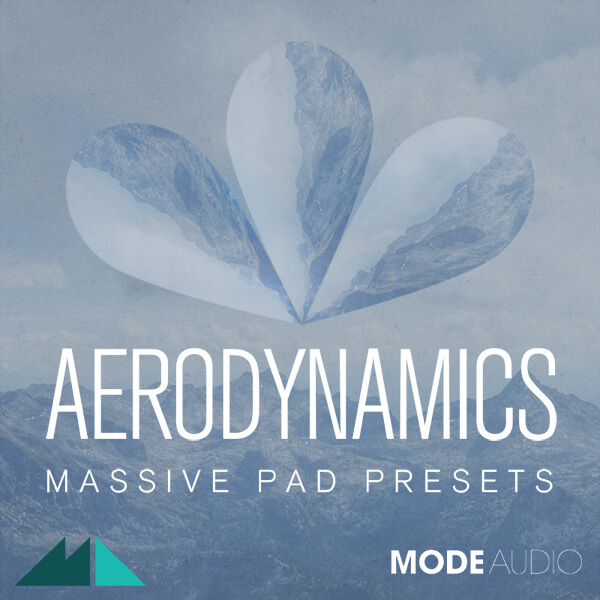 ModeAudio’s ‘Aerodynamics’ is the definitive collection of floating, blissful pads and rhythmic textures for NI Massive. Perfect for Ambient, Minimal and Techno, these presets are bursting with colour, dramatic contrasts and intriguing timbres. Years of sound design experience have gone into making ‘Aerodynamics’ one of the most delicate, versatile and interesting Massive sound banks around. No module, dial or slider has been left unturned in the quest for perfection. The presets come with all 8 macro dials fully assigned to a range of complex parameter groupings, so that Massive’s unparalleled sonic capabilities are instantly accessible. MIDI files are included for an even bigger creative spark, and so that you can audition the sounds straight away. From gorgeous, shimmering pads and smooth, warm swells to dark, brooding backgrounds and shifting, shattering patterns, ‘Aerodynamics’ has enough variation and imagination to suggest endless new directions, feelings and possibilities. Hear new heights of vitality from Massive with ‘Aerodynamics’!